Instead of depending on cold calls, stale email lists and blowing your entire marketing budget on advertising to push products, you ATTRACT prospects by creating quality content that helps educate and persuade. This increases your thought leadership and keeps them interested until they are ready to buy. With inbound marketing, your goal is to attract customers through content and interactions that are relevant and helpful. Unlike traditional marketing approaches, you are not being interruptive. By being a reliable source of advice, over time you become a thought leader in the eyes of your target market. Stop chasing them down - they will start coming to you. Information is a commodity. Attention is scarce and highly valuable. By creating content that is educational and entertaining, you will become a trusted thought leader in your field. More Leads. More Sales. Faster. Use inbound marketing to break through the noise and increase your sales and leads and shorten your sales conversion cycles. Target and influence your customers along every step of their buyer's journey - from strangers to loyal fans. We'll collate the requirements and goals gathered during the sales stage and start preparing your team for what's going to happen, when, and what their responsibilities might be. We'll begin our in-depth research on your brand and environment in order to determine your strategy. These may include keyword research, persona insights, customer journey analysis etc. We integrate the necessary tools such as marketing automation software, analytics and conversion tracking. This may also include a Launchpad Website if deemed necessary. Based on the insights gathered during the research phase, we will have a good idea of the types of content your personas want. We begin creating that content. 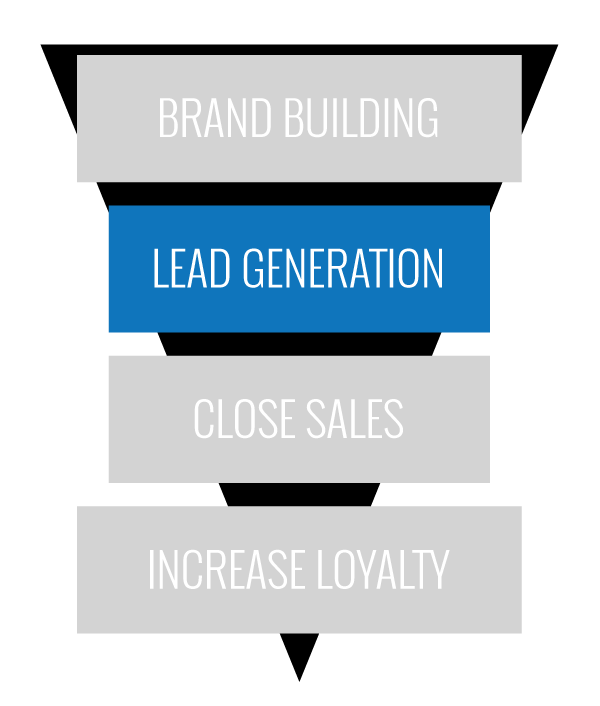 Lead magnets help you develop leads by getting visitors to exchange their details for valuable content. Search optimisation further increases your visibility. Our Starter Inbound Marketing Package is designed for smaller companies just starting on their inbound journey. This is focused on content creation and getting your name out. Our Professional Inbound Marketing Package is ideal for most established companies. It covers all the bases and helps you build thought leadership and generate leads fast. Our Enterprise Inbound Marketing Package is designed for larger companies to help them stay ahead in this competitive landscape. Focused on collaboration and long term growth. Contact us now and let's see how we can grow your brand. Here's what's going to happen once you contact us to enquire about your inbound marketing efforts. Most Singaporean businesses are no stranger to outbound marketing. Traditional outbound marketing tactics such as print ads, billboards, press releases and so on are based on interruption and tries to get in front of as many people as possible. In contrast, inbound marketing is about attracting as attracting and pulling in as many qualified potential customers as possible when they are already searching for a solution to their problems. Inbound Marketing allows you to work smarter with your resources than traditional outbound (or interruption) marketing. Inbound marketing is effective because it aligns the content you publish with your prospect's interests. This highly relevant content naturally pulls traffic towards you which you can convert and close over time. Inbound marketing is about educating your potential customers and equipping them with the knowledge to make an informed product decision. It is about influencing people by creating helpful content and promoting it to the right people. Inbound marketing activities are executed through a mix of website optimisation, content creation, search engine optimisation, email marketing, lead nurturing and social media marketing in a way that ensures that your potential clients trust you and view you as an authority in your space. Your brand is your company's most important asset. A brand is not built in the boardroom but is instead shaped by the experiences of your employees, customers, prospects and others on the web. It is everything your publics think about your brand name offering - both factual and emotional. CloudRock® serves as your brand strategists and custodians. 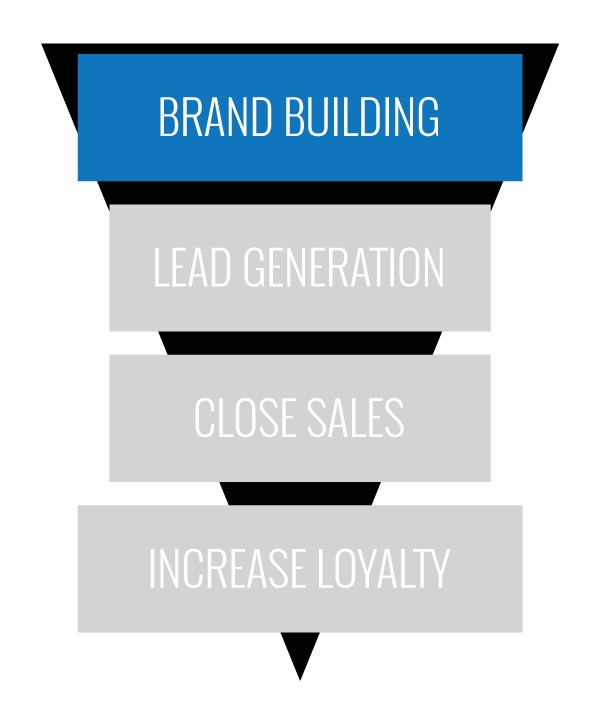 We ensure that every part of your inbound marketing strategy will grow your brand over time. STRATEGYFIRST: We audit at your current situation, goals and resources and craft your high-level inbound marketing strategy. This includes creating personas - archetypes of your ideal customers. Buyer personas outline the goals, challenges, pain points, common objections, on top of personal and demographic information shared among all members of that particular customer type. BRAND MESSAGING / STORY: Your 'why' (the reason your brand exists) is more important than your 'what' (the products and services you sell). But most companies just peddle their wares. Every brand has a story, we ensure that your story and core messages are an essential part of your inbound marketing strategy. CONTENT MARKETING: This is where inbound marketing starts. Running a company blog is the single best way to attract new traffic to your website. Your content must educate your prospects, connect with them and answers their sales questions. SEARCH ENGINE OPTIMIZATION: Over 90% of online experiences begin with a search engine. This means that you have to ensure that you're appearing prominently when and where they search. PERSUASIVE WEBSITE: Your website pages are typically where most of your branding or persuading occurs. You need to optimise your pages to appeal to your buyer personas to entice them to take action. SOCIAL MEDIA MANAGEMENT: Creating remarkable content is the first step - now you have to get it in front of the right audience. Social publishing allows you to share that valuable information on the social web, engage with your prospects, and put a human face on your brand. Build a presence where your best customers are spending their time. For digital marketers, your prospect's contact information is your most valuable currency. But they are not going to give this to you for nothing! You need to offer some form of value. PREMIUM CONTENT ASSETS: While blog posts are an essential part of inbound marketing, most of the time you need to create a content asset of particularly higher value in order to get visitors to part with the their contact details. HIGHLY CONVERTING LANDING PAGES: A landing page is where a visitor lands on when they click on a call-to-action. This is where you need to convince prospects to give you their contact information so that your sales team can begin a conversation with them. LEAD MANAGEMENT: Not all leads are created equal and you need to know how to separate the wheat from the chaff. 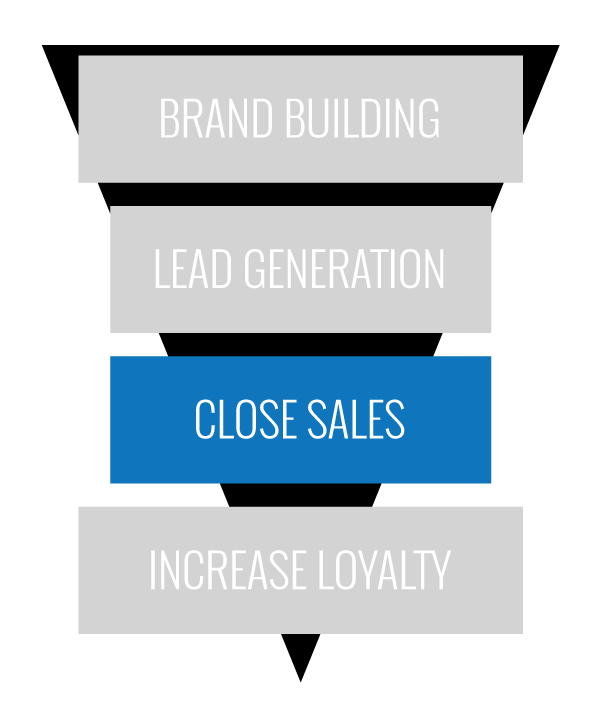 Our team is qualified to help you score, nurture and qualify leads before handing them off to sales. PAID MEDIA MANAGEMENT: If you have aggressive growth goals, then you'll need to combine inbound marketing strategies with highly targeted paid media. These include channels such as Google AdWords, Social Network Advertising, Retargeting and Video Advertising. CUSTOMER RELATIONSHIP MANAGEMENT (CRM): Your Customer Relationship Management (CRM) system keeps track of the details of your contacts, companies, and on-going opportunities in your pipeline. It ensures that you have the right information available to you to help you better engage with your prospects. We advise you on the best ways to integrate an existing or new CRM process with inbound marketing strategies. LEAD NURTURING: Sometimes, a visitor that has converted to a lead might not yet be ready to be a customer due to factors out of your control. What do you do then? A series of emails focused on useful, relevant content can build trust with a prospect and help them become more ready to buy. Nurtured leads tend to close more often and with a higher order value than those that were not. These emails should be tailored to their lifecycle stage and their interests. Just because someone has already become your customer doesn't mean that you should ignore them. 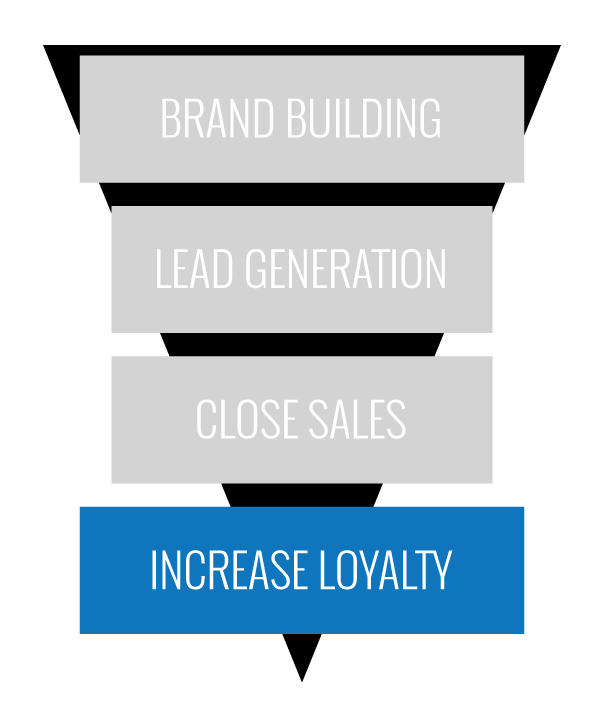 In inbound marketing, you need to continuously engage with, delight and upsell your current client base into advocates of your company and the products they love. CUSTOMER FEEDBACK & SURVEYS: The best way to figure out what your users want is by asking them. Use feedback and surveys to ensure you’re providing customers with what they’re looking for. CONTENT PERSONALIZATION: As you learn more about your customer, you are better able to provide them with more relevant content tailored to their specific hopes and needs. Help them achieve their business goals, as well as introduce new products and features that might be of interest to them. SOCIAL LISTENING: Keep track of the social conversations that matter to you most. Listen out for your customers’ questions, comments, likes, and dislikes – and reach out to them with relevant content.